Men, it's always great to catch up with old friends. And when I say old friends, I'm referring to friends we've know for a long time. Not that they are old. Because that would make us old as well. In any case, you get the rare chance of listening in on a conversation between myself and a fellow Army Combat Medic. Tim excelled in the military. And obviously, that was just a warm up. 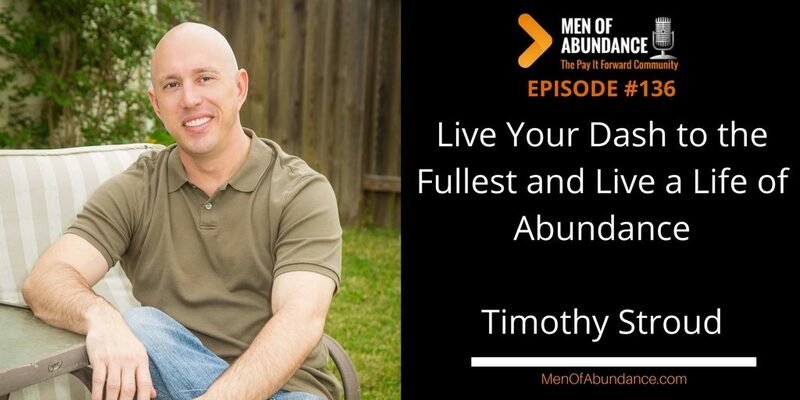 Tim has taken Abundance to a whole new level. I hope I don't get in trouble for this. But I really wanted to share the poem, Tim was taking about. So here you go. I also shared the Ted Talk video for you below. Timothy Stroud is a former combat medic in the United States Army. He served his country on active duty with deployments to Kosovo, Kuwait and Iraq, though Operation Iraqi Freedom (OIF). During these years, Tim learned volumes about team building, leadership, and camaraderie and was quickly promoted to a Non Commissioned Officer. He also sought out a mentor during his transition back into civilian life and began a seven-year relationship with leadership expert Mr. Paul J. Meyer. While stationed at Ft. Hood, Tim build an Army Wall of Fame to showcase 500 celebrities who support the military. It is still on display on the largest military post in the U.S.
Tim excelled as a non-traditional student at Grand Canyon University, finishing his education by utilizing his Post-9/11 GI Bill. Graduating with Academic Honors on both the Dean's and President's List, Tim secured a Bachelor of Science in Applied Management from the Ken Blanchard College of Business in May 2011. He completed his Masters in Leadership from the same program in December of 2013. Volunteering in the community, Mr. Stroud worked in collaboration with the State of Texas, NAMI, SAMSHA, and BEITZ to better understand the early signs of Post Traumatic Stress and how to successfully get veterans and family members connected with resources. This led Tim to become one of the first Peer to Peer Support Facilitators in Texas and helping start the support groups in Central Texas. Mr. Stroud lobbied Texas Congress, alongside the VSOs that he supported for more education benefits in Austin, TX and San Antonio, TX to the Veteran Affairs and Military Installations Committee (Senator Leticia Van de Putte, Chair). Tim worked with Dr. Suzanna Gratia Hupp at the Texas Health and Human Services Commission on finding viable solutions for veterans that face mental health issues. This resulted in a mobile application that ties veterans into a Military Veteran Peer Network. While serving as the Manager of TexVet, Mr. Stroud help establish a centralized portal for Veteran Service Organizations to house their content so active duty, guard members, reservists, family members and supporters could find resources in their communities. Also in this role, collaborative efforts across the State of Texas were made between federal, state, and local organizations to share best practices and share resources. Tim’s father was a police officer and was killed in the line of duty. Tim founded the Killeen Police Department Law Enforcement Assistance Fund (KPD LEAF) in his father’s name. He served as the President for the first two years to launch and stabilize a charity that would take the financial burden off our civil servants. As of 2017, the charity has given away over $500,000 in direct support of police officers, staff and family members in their time of need. Mr. Stroud continues to guide the charity as a Board Member Emeritus and raise funds and awareness for those who walk the thin blue line. Tim resides in Houston, Texas and continues to champion several causes for veterans and their families. He was recognized as one of the top All Time Blood Donors by the Robertson Blood Center on Ft. Hood where he has donated over five gallons. He continues to work with veterans and their families through Easter Seals of Greater Houston to help veterans with mental health services. One of the avenues is through providing trained service dogs for deserving veterans. Since moving to Houston, he has worked with Team RWB, The Mission Continues, U.S. Vets, Grace After Fire, Combined Arms, the Wounded Warrior Project, Sailing Angels, the Travis Manion Project, the Lone Star Veterans Association (LSVA), Career Gear and Dress for Success. Some of the success stories include getting veterans off the streets and into good homes, suited up for the dream jobs, on a healthier path (physically and mentally), and to help them find their voices. Tim has helped 250 military families get gifts and food for Christmas through the Lone Star Santa program at LSVA in 2016. As one of the leaders with Operation Turkey – Houston, he coordinated over 500 volunteers to help feed 5,000 Houstonians on Thanksgiving morning. 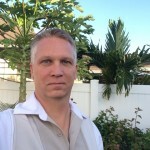 Tim is also an accomplished speaker with several awards in Toastmasters International. He holds the position of Advanced Toastmaster Bronze and speaks to civic organizations about the cultural competency necessary to understand the needs of today’s returning warriors. His energetic and informative presentations have him presenting to SHRM, the San Antonio Area Foundation, and other professional organizations. One of his most requested presentations is regarding the topic Post Traumatic Strength. Mr. Stroud has several awards for volunteerism in the community, highlighted by the Commander’s Award for Volunteerism by MG Ray Odierno. Mr. Stroud was also a finalist for the Ethics in Business Awards (2012) by the Samaritan Center for Counseling and Pastoral Care in Austin, Texas. He has two daughters, aptly nicknamed The Hurricane and The Tornado that keep him grounded. HEY! Tell them Wally Carmichael sent you. Seriously, put my name in the "Who Referred You" Box.